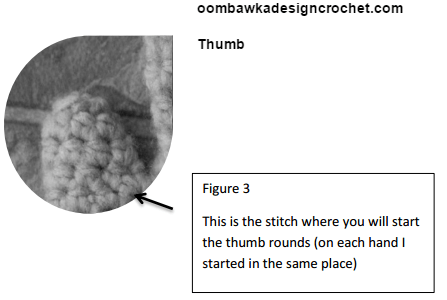 Please scroll down for the free crochet pattern. You can wear these mittens with the closure on the underside of the wrist or, on top of the wrist. My daughter likes the ‘buttons’ so she wears them facing up. For Drew I put them facing down so he doesn’t try to open them. 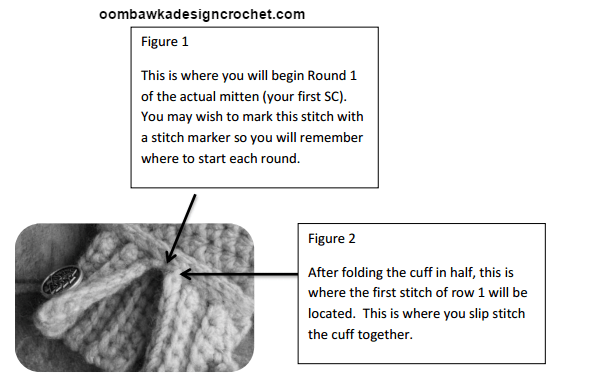 Fold the cuff in half, so the 5th stitch of the first row is now located on the top right-hand corner. The Third Loop. Some of my patterns will ask you to work in the “third” loop. 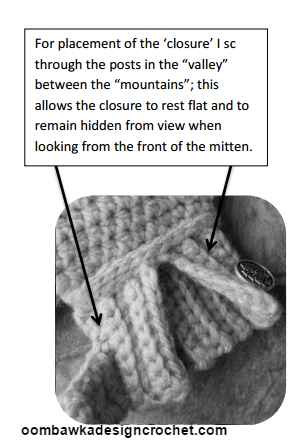 This is referring to the stitch located behind (and slightly to the left-side) of the back loop. If you twist your stitches slightly you will see it hiding back there. 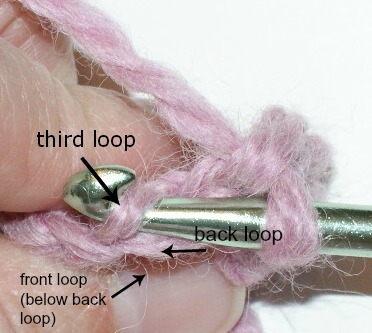 I find it easiest to grab this loop by inserting my crochet hook through the back loop (from the back) and then bringing it back out slowly on the left-hand side to ‘hook’ the third loop with the ‘hook’ part of the crochet hook. Thank you. My daughter is begging for matching scarf and mittens, made with the Red Heart Boutique Unforgettable yarn, that she has fallen in love with. Do you have these in a larger size? I would love to make these for my 8 year old.